Success with Horses through greater understanding. An Introductory Clinic is a great way to begin to understand horse psychology and get an insight into how they learn and how they see us. Gain an understanding of the four quadrants of operant conditioning and how they apply to horses. We teach essential ground skills designed to keep you safe and make a change in the horse-human relationship. 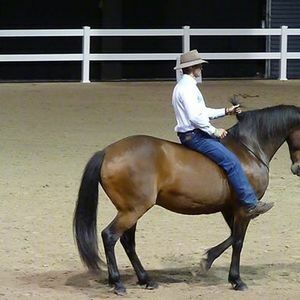 Using body control techniques taught through a series of exercises you will learn how to help your horse become more confident and more yielding to you both mentally and physically. You will also have a brief introduction on the last day of how to transfer these new skills into the saddle and develop more control. 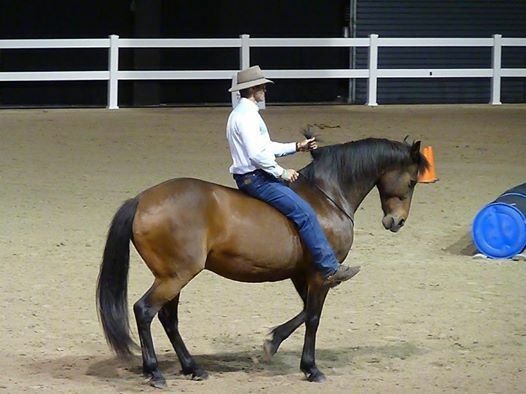 Your instructor Russell Higgins has been teaching Natural Horsemanship for 19 years in 16 countries. Contact organiser Sandy Stanway on c2FuZHlzdGFud2F5IHwgc2FuZHlzdGFud2F5ICEgY29t for more information or to book.